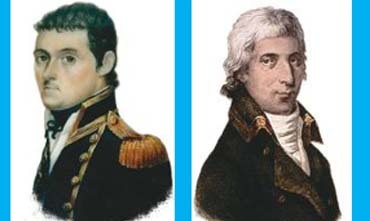 Port Lincoln Singers presentation of the “Two Captains”, a narration in song that brings to life the encounter between British captain Matthew Flinders and his French counterpart Nicolas Baudin South Australian waters in 1802. The event was important in shaping the future of this state and also in making a significant contribution to our local history in the Southern Eyre Peninsula. Singers from many parts of the state will travel to Port Lincoln and join the Port Lincoln Singers for this event. This musical tribute is composed and arranged by Rosemary Nairn OAM, an eminent musical director who has worked with many choral groups, including several on Eyre Peninsula.